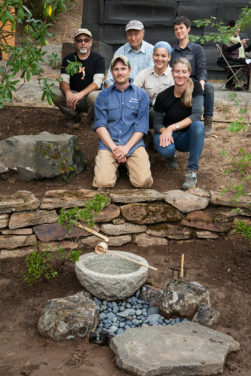 When Tim Gruner joined the Portland Japanese Garden’s Waza to Kokoro: Hands and Heart professional training seminar at its launch in 2016, he did so as a gardener with 30 years of hands-on experience. As part of the staff at Anderson Japanese Gardens in Rockford, Ill., he worked under the direction of Hoichi Kurisu, himself an early director of the Portland Japanese Garden. 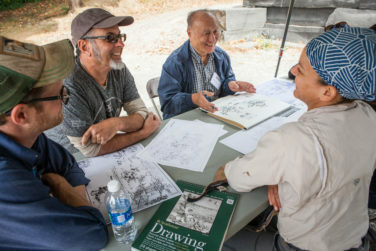 But at the seminar — where Gruner took part with ten other experienced garden practitioners in hands-on and theoretical instruction in Japanese garden arts by Garden staff and visiting Japanese instructors — he found himself as open and eager to learn as 30 years ago. 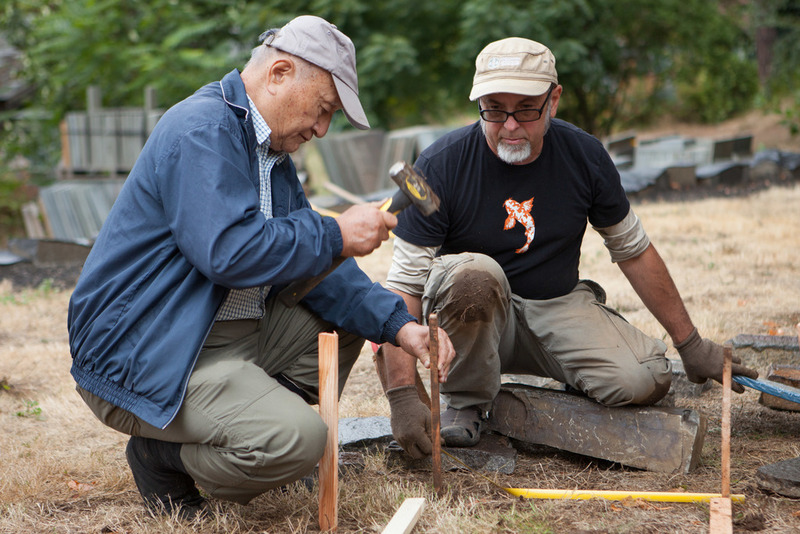 No matter how experienced a gardener is, there is always more to learn, especially if one adopts what Zen Buddhism calls shoshin – beginner’s mind. That is, an attitude of openness, enthusiasm, and lack of preconceptions in study — regardless of advanced knowledge. Gruner described his learning takeaway as not only technical skills, but about cultivating his eyes and learning a new way to see the garden. “I came away with a deeper understanding of how the tea garden uses space and material to create an environment that is calming and sensitive,” he described. The seminar is presented by the International Japanese Garden Training Center, which is funded by the Japan Foundation Center for Global Partnership. In 2018, the Center was the recipient of the American Public Gardens Association award for program excellence.